Today's a big day! 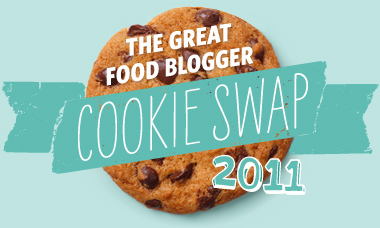 Not only is it another Secret Recipe Club reveal day, but it's also the reveal day for The Great Food Blogger Cookie Swap. I signed up for both before realizing the reveals were scheduled for the same day. But that's ok, it worked out just fine. Starting with the Great Food Blogger Cookie Swap, I had the pleasure of baking cookies for Ashley at Embracing Beauty, Cayla at Cayla's Cookie Jar and Danielle at Little Spindle. The Cookie Swap is the brain child of Julie at The Little Kitchen and Lindsay from Love and Olive Oil and is a secret Santa-style swap where each blogger bakes cookies for 3 bloggers and will receive cookies from 3 other bloggers. 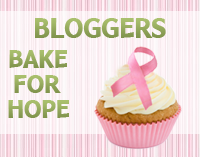 Several hundred bloggers participated and I'm looking forward to getting my cookies from secret bakers. I'll let you know what I get and who they're from. If you'd like to participate next year (and trust me, you do) go here to sign up for the notification. As far as the Secret Recipe Club, well, like I said last month, you can learn everything you need to know here, but basically each Monday a group of bloggers post a recipe they've made from another blogger's repertoire. Nobody knows who's featuring their blog until that morning and it's a fun chance to visit new blogs and try something different. Visit some of the other bloggers in my group by checking out the blog hop at the bottom of this post. This month I had the honor to bake from Fake Ginger. Looking through Amanda's blog, I immediately clicked with her sense of humor and no-nonsense style of cooking. Since I knew I needed a cookie recipe to share for the cookie swap, I took a spin through her cookie recipes. Like me, Amanda has an Cranberry Orange cookie that she adores and bakes a lot, although her blog also features "real" food. I considered trying out her Salted Caramel Peanut Butter Cookies as well as her Snickerdoodle Pinwheels, since I love to make swirled cookies, but Dave convinced me to go with the bacon, since we all know bacon makes everything better. And I'm so glad I did. These cookies were delicious and I hope my cookie swap recipients like them too. Amanda uses an unconventional way to make the cookies (I've never melted butter for a chocolate chip cookie before) but the caramel-y, buttery flavor matched with the sweet and salty bacon and the chocolate chips is a fabulous combination. While I did decrease the chocolate chips from 2 cups to 1 1/2, I think next time (and there will totally be a next time) I'd increase the amount of bacon. There was a good amount of saltiness in the cookies, but Dave and I agreed a bit more of the actual bacon needed to come through. Reading the recipe again now, I think Amanda baked her bacon in it's own grease, while I baked like I normally do, which is on a rack so the grease drips away from the bacon. I supposed I could have added some of the bacon fat to the batter instead, but I imagine just adding more bacon would be acceptable. If you're on the fence about bacon in your dessert, just jump in feet first and try this recipe. You won't be disappointed. And be sure to visit Amanda's blog for more fun recipes and posts, as well as Ashley, Cayla and Danielle's blogs for more Great Food Blogger Cookie Swap fun. Line a baking sheet with foil and lay a wire rack across. Arrange bacon slices in a single layer and sprinkle 1/2 cup brown sugar over the top. Bake at 350 degrees F for 18-25 minutes or until crispy, turning after 10 minutes. Remove bacon from oven and cool. Once cooled, chop finely. Sift flour and baking soda into a bowl and set aside. In a medium bowl or the bowl of a stand mixer, cream butter and remaining sugars. Add vanilla, egg and egg yolk, beating until light and creamy. Gradually add flour mixture and stir to combine. Add chopped bacon and chocolate chips and stir until incorporated. Place Tablespoon sized balls of dough (I used a small cookie scoop) onto a parchment or Silpat lined baking sheet. Bake at 325 degrees F for 13-15 minutes or until edges are brown. Turn baking sheet 180 degrees halfway through. If using more than one sheet at a time, rotate positions in the oven for more even baking. Remove from oven and let cool on pan for 2 minutes before moving to wire racks to complete cooling. Yay, so glad you liked them! I agree that they could definitely use a little more saltiness - gotta love that sweet/salty combo! These look really good. I have yet to jump on the bacon in desserts bandwagon, but I have to admit this recipe for regular old chocolate chip cookies makes me think its probably about time I gave it a shot. Right? Your cookies look delicious, we would just love that candied bacon and chocolate combination, yum! It is fun cooking with you at the SRC, have a great day! I've never tried baking in an cookie but it's always interested me - and made me a little nervous! These look like a delicious special treat. I got stuck doubling up today too with SRC and the Cookie Swap. These cookies look AMAZING! I think the men in my life would really love them especially. Happy Holidays! Totally want to try these! I have been hearing a lot about bacon in cookies lately. Who knew! What a fun cookie. 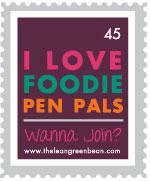 I am sure your recipients will love them!! Oh, my! Candied bacon is going in my next batch of cookies! Going to check out the cookie swap for next year! Have a great day! I had my first bacon cookie last year and loved it! The sweet and salty combination is awesome-I'll have to give your cookies a try! BACON?!? COOKIES?!? I love you. Those had to have been delicious. I love the idea of bacon in sweets! This sounds amazing! Glad to be a part of SRC with you! Check out my Shrimp & Artichoke Tapenade Crostini recipe from this month's reveal. Happy eating! Candied bacon? My teens would think I was the best mom ever! I have got to try this combo. We love the salty/sweet flavors. Yum! WOW these looks and sound delectable! New follower of yours and found you through the cookie swap!